Arrowhead’s 5 unique ideas for a romantic getaway! Here at the Arrowhead Manor Bed and Breakfast Inn & Event Center, romance is our number one priority. We believe in love and throughout the years Arrowhead has seen it inside our guests time and time again. 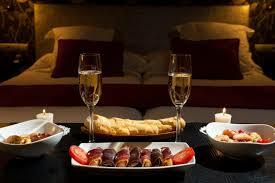 Romantic evenings away from home can be some of the greatest memories you and your significant other will have. But just getting out of the house is sometimes not enough. Arrowhead Manor has come up with our top 5 romantic ideas for a night out list to make your evening out a little more special. Rose petals – Alright people, this a given. 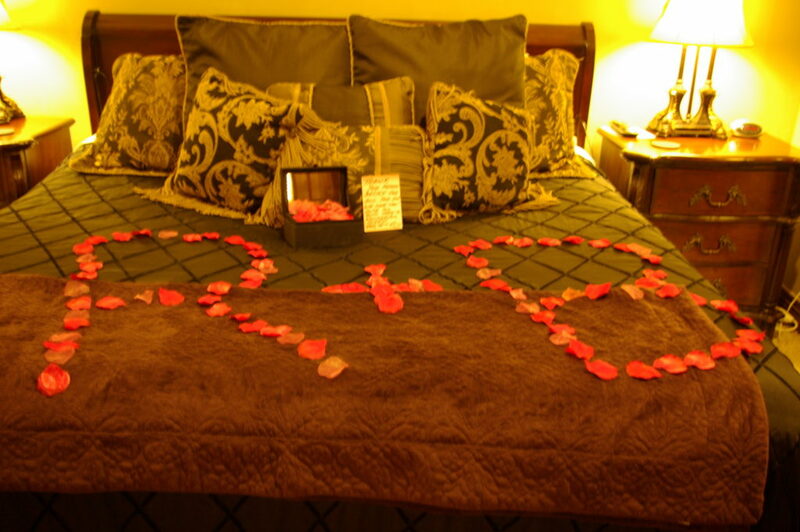 Roses are great too, but for some reason, a few rose petals sprinkled over a bed just exudes romance. No matter the occasion, Arrowhead promises this little addition to your night will definitely spark a fire. Staying at Arrowhead? Check out our Gift Shop, we’ve got you covered. Why eat out?! – We know the norm these days it to go stay somewhere fancy, then go eat something fancy too! Don’t break the bank. Bring your dinner with you and enjoy each other’s company in your room (or private deck). Arrowhead suggests grabbing a bottle of your favorite wine, some crackers and cheese, and some of your other favorite snacks. This way, you can be completely alone. No waiters interrupting your romantic evening! Turn off those electronics – Let’s face it, we love a world surrounded by technology. We know you want to post pictures to your friends of the fancy room you are staying in (especially if you’re staying at Arrowhead). 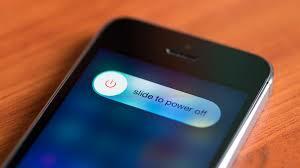 Take a few pictures and turn those phones off. Don’t post them yet. Wait until after you’ve left and have gotten to enjoy your vacation with each other, not with everyone else. 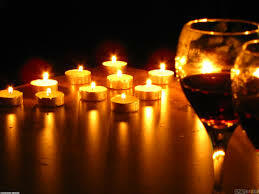 Completely submerge yourselves in romance..
Write to each other – It sounds weird, but it works. Take 20 minutes (it goes fast, trust us) and write a love note to your significant other. 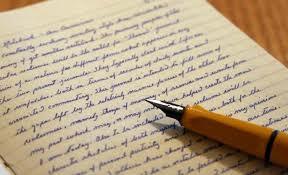 Sometimes saying how much you love someone can be difficult, so writing it down is another way. Once you’ve finished, read the note that you wrote to your other half. Trust us, there will be tears! Get Lost – This tip may sound a little odd, but it can be really fun if you’re already planning to get lost. Take a drive around and enjoy the sights, and your significant other. You never know what you’ll find. Whether it be an old thrift shop, or a restaurant in the middle of nowhere where you find your new favorite dish, you are together and experiencing something new together. At Arrowhead Manor, we have a lot of places to send you on your new adventure.